«Dreams can’t die, but they belong to the night». This is the most thoroughly radical book I’ve ever read, and I’ve read quite a few. I would say, until anybody convinces me otherwise that it is the most radical novel ever written. I know others have compared it to the Monkey Wrench Gang by Edward Abbey, but that one doesn’t quite measure up, either. 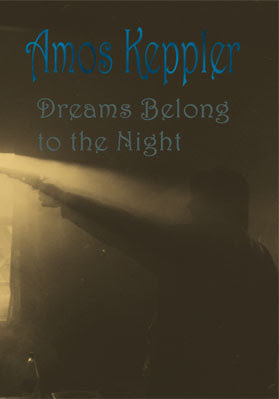 Dreams Belong to the Night by Amos Keppler is a novel all true activists & radicals should read. Everybody should read it, because very important issues are discussed there, but those that truly want to change society should definitely read it. It’s a book for advanced rebels, about rebellion in the true sense of the word. In most stories about rebellion I’ve read and movies I’ve watched people stumble into it. They don’t have true awareness of their situation or the subjects involved. In short, they’re usually described as weak-minded idiots, which is clearly a part of the ongoing deception. The people in the revolutionary movement the Green Rose make deliberate decisions to break away, to go to war against society. This is a kind of book I’ve wanted to read for a long time. It’s a great story and well written, very intense and engaging. You can’t help caring about the characters and their issues. Do we feel anything anymore? Is there any humanity left in us? Are we alive or no more than organic machines fit for the slaughter? The book follows a group of beyond radical activists, from their first, initial conflict with the oppressive society to the beyond powerful, explosive peak. To say it is a great ride doesn’t feel in any way adequate. I enjoy the pace, enjoy the slow-moving train of the story, how it’s slowly picking up speed and momentum, how the characters and the story itself are dominating the stage. One thing among many I find great about this book is the casual way it portrays homosexuals. This isn’t a story about homosexual or bisexual activism, though, which is perfectly all right. 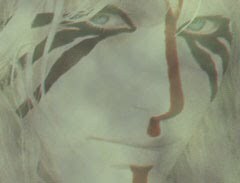 The three, of about a dozen main characters are described as people, pure and simple, which is rare. I have personally struggled with society’s distorted view of bisexuality throughout my teens and feel this is one of the few books I’ve read without prejudice on the subject. All in all, many controversial or perceived controversial subjects are touched upon and the story doesn’t shy away from asking any important question or challenging any grave imposition modern humans is subjected to. Yes, this is a book of books. I can’t help fearing it will be overlooked, like so many great stories are in this day and age. It will most certainly be condemned if it ever sees the light of day of public and official opinion. In case you’re wondering: that’s a strength, not a weakness. It should be acknowledged, should become a part of humanity’s public consciousness, because in a way it already is. Dreams Belong to the Night is an underground publication to end all underground publications, roaming the subconscious web of humanity like an intense fire burning in the gray, sordid light that is the modern existence.